Discussion in 'New Player Bonuses for Casinos' started by Mike, Jul 28, 2014. €1000 New Player Bonus and 250 Free Spins for new players at Redbet Casino. Exciting news from the popular Casino Redbet Casino. They have a new welcome bonus for new players! 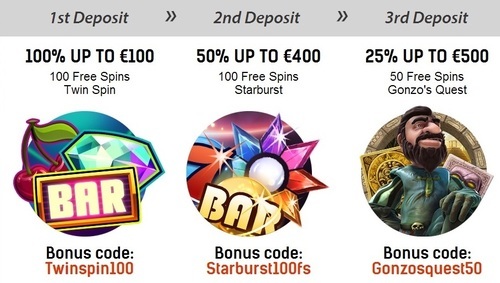 Create a new player account and you are eligible for a €1000 welcome bonus plus 250 Free Spins on your first 3 deposits. Redbet is the place to play all your favorite Casino Games from the software's Microgaming and NetEnt. Redbet also offers Live Casino Games, Sport betting and you can also play Online Poker. Fast payments at Redbet Casino!! I love to play at Redbet Casino with one reason. Redbet Casino offers very fast payments. I have been paid one time within 10 minutes and for my other cashout i had to wait was max. 4 hours. This is a good reason to try your luck at Redbet Casino. I wish everyone the best of luck at Redbet Casino. Good news from Redbet Casino. They are adding now games from AristroCrat. For now one Aristocrat slot has been added, Double Happiness.